THE BOOK: Eduard Limonov’s autobiography has finally arrived to Italy, the story of a dissident intellectual who became famous among the general public thanks to the bestseller, published in Italy by Adelphi in 2014 that Emanuel Carrère dedicated to his life. A “modern novel”, as the author himself defines it, which goes through the most important events of his life, happened mostly after his release in 2003. And then he writes about the women he met: living together with the twenty-year-old Nastja – who waited for him while he was in jail – a series of one-night stand relationships he had, the marriage, the fifth, to Ekaterina Volkova, the famous thirty years younger than him actress, who gave birth to his children, and finally his love story with the stripper Madgalena. Along with his personal history, Limonov narrates the radical change of the industrial area: the factory workers’ nephews renting their apartments to the post-soviet middle class and moving to the suburbs, the streets of the neighbourhood that are slowly changed by luxury cars, shops and offices. Eduard Limonov (Dzeržinsk, Urss, 1943). An internationally renowned Russian writer, poet, essayist, journalist and political leader. He was a dissident both in Urss and in the West. He inspired different ideological projects and founded the National Bolshevik Party. In 1974 he emigrated to United states, after spending several months in Rome, while waiting to get his visa. In 1980, disappointed, he left New York and moved to Paris, then returned to Russia in 1992, after the fall of Urss. After establishing himself as a writer thanks to many successful books, Limonov became famous among the international public thanks to the worldwide translated bestseller written by Carrere. He played an important role in the post-soviet political scene and he carried out a very radical ideology who brought him to prison many times. Among his works published in italian, we can mention Il poeta russo preferisce i grandi negri (Frassinelli, 1985) and Diario di un fallito (Odradek, 2004). Limonov is a prismatic figure. and this book is a fragment of the way he lives and writes. 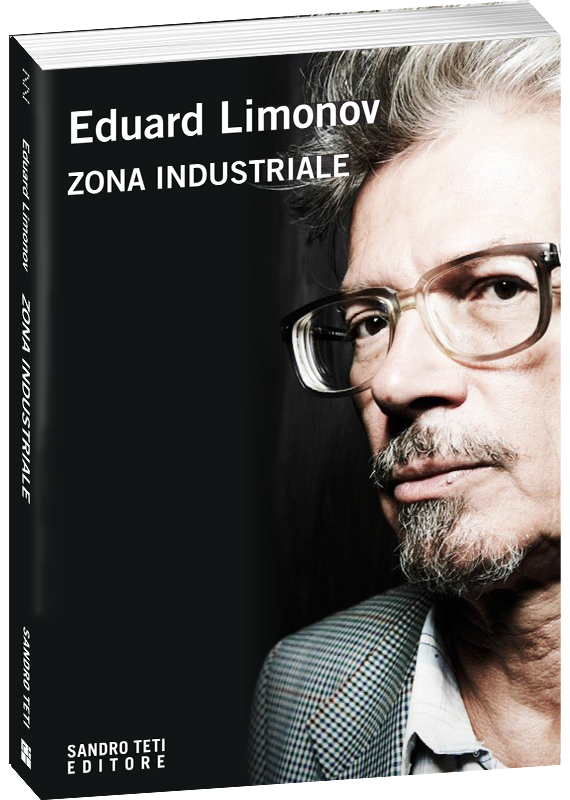 Limonov is not a literary invention, but, as Zona industriale shows, a man in real flesh whose adventorous life is already legend. Limonov is a mix of D’Annunzio e Pasolini. Finally the “real” Limonov who tells his life himself in this extraordinary autobiography. A modern novel, rough and sharp.